The most common chemical substance your cables will come into contact with. Oils are found in machines for lubrication and cutting. Refineries are washed in oil. Between oil extraction and the machines using lubricants and hydraulic oils, power cables are subject to deterioration from oil splash. Cables are also likely to come into contact with Sodium Hydroxide, a compound used to remove contaminants from crude oil. The cable’s jacket can swell, crack or harden after exposure and can wick the fluids into the cable itself. Acids are a chemical substance used in various applications, including the removal of rust and corrosion. Acid is also used as an electrolyte in batteries, such as the sulfuric acid found in a car battery. Stronger acids are used in mineral processing and, in the food and beverage industry chemical wash downs. Also in the food & beverage industry, cleaning agents such as Mandate and Enviroacid are used to sterilize areas where raw meats and chicken are processed. It’s possible that acids are also dispersed in the aeration ponds of wood, pulp, and paper plants. The cable’s jacket can dissolve after contact putting the conductors at risk of failure. No, not the type of liquor you’ll find in your local happy hour. If working in the wood, pulp & paper industry, your cables will encounter this repugnant ooze produced during the kraft process when pulpwood is digested into paper pulp. During this stage, lignin and hemicelluloses are extracted from the wood to free cellulose fibers. Chemicals contained in this substance are comprised of water/alkali soluble degradation components from the wood. 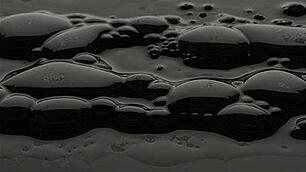 The black liquor itself is toxic to the environment, especially aquatic life. Cables can degrade quickly if constantly submersed. Butanone is the active chemical found in degreasers. Degreasers are used in the cleaning and removal of grease from equipment, especially motors. Degreasers can also be used on pressure sprayers, washers, and automated washers. The higher the strength of the degreaser the stronger the chemicals, which can eat through a cable jacket if continuously exposed, depending on dilution ratios. If you’re experiencing routine cable failure due to chemical exposure, TPC offers chemical resistant cable that withstands chemicals of all kinds. Notably, our Chem-Gard™ jackets are coated with a fluoropolymer that resists all of the chemicals mentioned above. In addition, we also offer extreme temperature, impact and tension-resistant cable solutions. Contact us today to solve your toughest application issues.